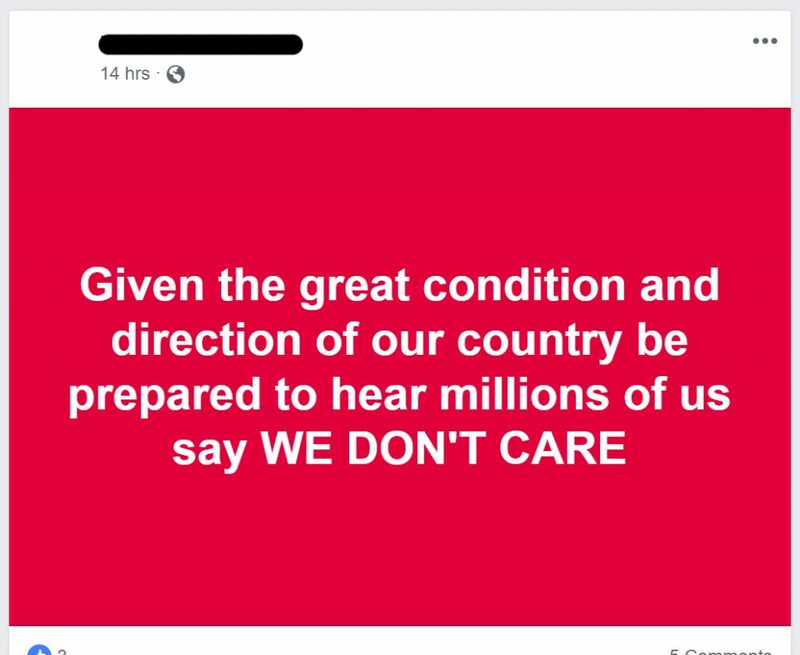 A friend of mine posting about Michael Cohen’s plea deal this week. People have heard of supply and demand even if they haven’t taken Econ 101. This is powerful because most people, even if they haven’t studied economics at any level, have heard of supply and demand. You can also help explain this with a simple story about how a business hires people when there is need. I tend to use a story from my personal experience. For example, when a company I worked for landed a big contract for a significant amount of new training, we had to hire more instructional designers, graphic artists, and programmers to help build this training. Because we’re told that tax cuts for the wealthy create jobs. If the wealthy hired people when they got a tax cut, they would be terrible businessmen. 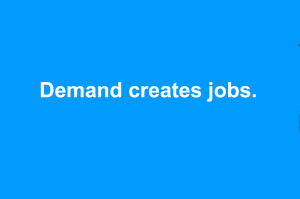 They would be paying someone to make or do something when there is no additional demand. 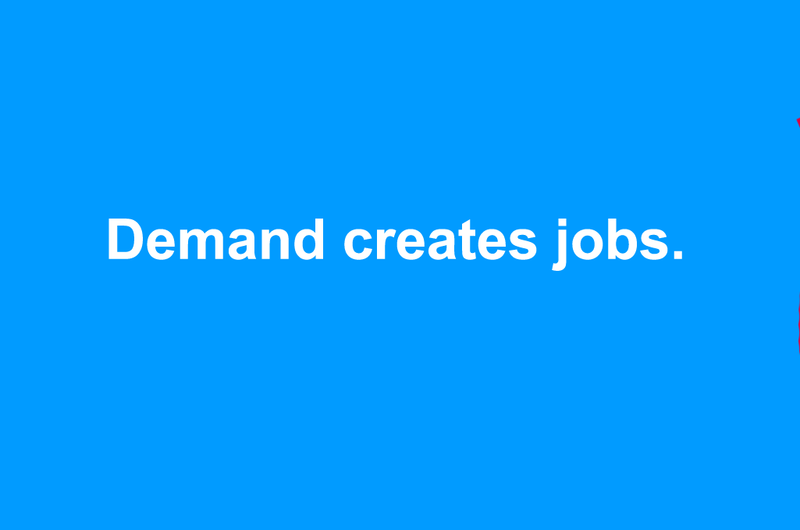 Basic supply and demand says that you create more supply to match the demand. When you use this, you put people in the position of having to argue against a tenet of basic economics that they often know is true. It is a position you cannot lose. Now they may still try, because they’re fighting as conservatives. But they’re picking a losing argument. You want them in a position where they’re arguing against supply and demand, one of the most basic principles of economics. 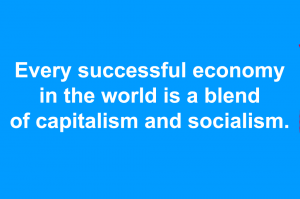 An economy isn’t a business. Economists Daron Acemoglu and James Robinson ask a great question in their book Why Nations Fail: The Origins of Power, Prosperity, and Poverty: Why are some nations rich and others poor? When asked this question, most people talk about why a business succeeds or fails. By analogy, they transfer this onto a country. But countries aren’t companies. 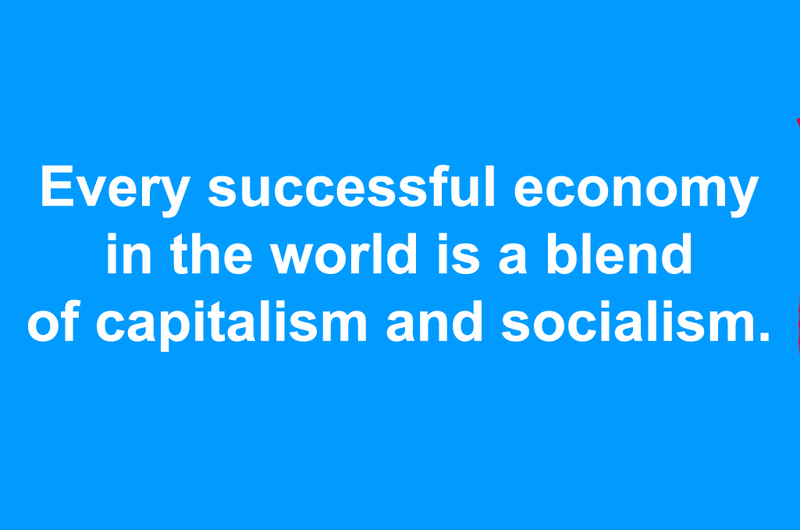 And an economy isn’t a single business. What Acemoglu and Robinson found was that successful economies were inclusion economies (run for the benefit of the people of the country) and unsuccessful economies were extraction economies (ones where resources were used to benefit a couple of people at the top). Concentrated power leads to extraction economies. Most third-world countries are extraction economies, including countries like North Korea and many countries in Latin America. Power is concentrated at the top and the economy is run for the enrichment of a select few at the expense of the rest of the country. Political institutions that distribute power broadly and subject it to constraints are pluralistic. Instead of being vested in a single individual or a narrow group, political power rests with a broad coalition or a plurality of groups. This is very different from the narrative we usually hear (capitalism vs. socialism). Corporate special interests want to fight on the battlefield of capitalism vs. socialism because they can win this fight. I think they can, too. If you’re arguing that the government should control the means of production, basically, you’re arguing for another version of a failed extraction economy. Unfortunately, laissez-faire capitalism isn’t much better. Under laissez-faire capitalism, the biggest companies eat the small and we also have an extraction economy—one run for the benefit of a few at the top. 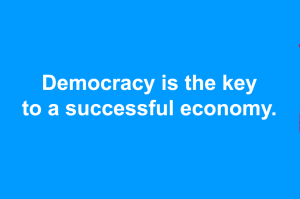 When we reframe the debate as democracy (an economy run for the benefit of people) vs. an extraction economy (run for a few), it’s a much easier fight to win. What’s important are checks and balances on power. What’s important is a government run by and for the people of our country, not a few wealthy special interests. What’s important is good government, not “small” government. 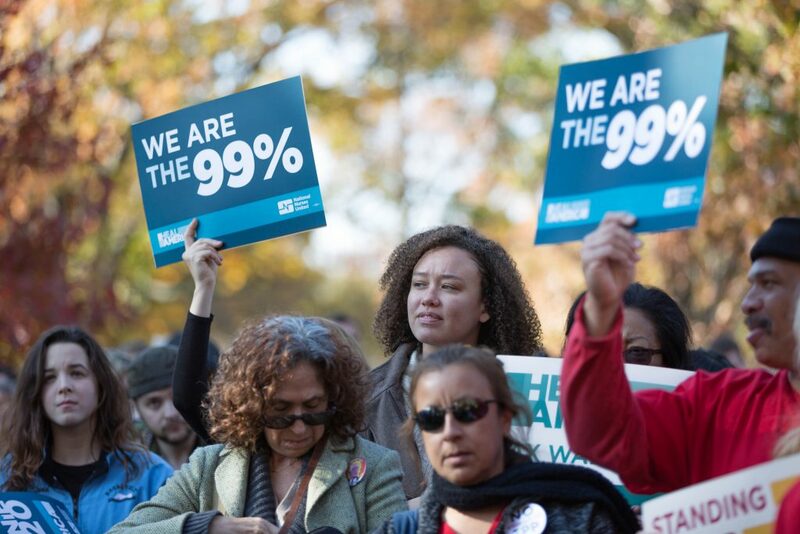 What we want is less corruption, more participation, and more widely-distributed power. This is also one of the reasons why when people ask me what democratic socialism is, I’ll start by saying democratic socialism = democratic capitalism. Number of successful laissez-faire utopian economies = 0. There are no successful tea party countries that are purely capitalist. Not one. A question I’ll often ask conservatives is: Where have these ideas worked? Can you show me a successful country that’s completely laissez-faire? They will often sputter around and try to tell me that somehow some government has prevented this, but it’s simply not true. A purely laissez-faire country would look like a black market or corporate feudalism. There would be a few very large companies that “won” the game of monopoly and now run the country like monarchs presiding over their territory. They would squash or simply buy any new competitors and all profits would be funneled to a few wealthy people at the top (see extraction economy above). All successful economies have some way of investing in new and up-and-coming industries and of redistributing wealth to help those most in need. In business, when you want to test a new idea, you often pilot it with a small project. Not only can this help you demonstrate success to attempt on a larger scale, but it can help you work out the kinks. When there are no successes and people can’t point to any, it’s a powerful argument. When someone floats an idea, one of the first questions I’ll ask is: Where has this worked? If they can’t tell me, I’ll suggest getting it to work with a pilot project first. These Ayn Randian ideas have been tried and they’ve never worked. There is no purely laissez-faire capitalist country. Not one. If justice were administered by a corporation, you’d get only the justice you could afford. 4. 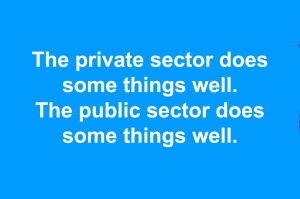 What does the public sector do well? What does the private sector do well? In corporate special interest group framing, the private sector is always the answer. In a democracy, we’re not so limited. We can look at what each does well and what each does poorly. For example, the private sector is good at consumer products. It’s not so good, however, at providing service to all citizens of our country. For example, when we wanted to build a telephone system that would reach everyone and provide service to everyone, the public sector did a better job. When we build road and transportation access to people, the public sector does better. In both of these instances, it wouldn’t be profitable to provide the same level of service to rural areas, so they would be neglected. In the private sector, the overriding incentive is profit. How do you make the most profit? By delivering the least amount of service. Education—The incentive is often to deliver the least amount of education. Justice—Individuals will get the justice they can afford. Healthcare—Our healthcare system is still the most expensive in the world and delivers mediocre results. The military—If the military is owned by private contractors, what’s to prevent them from working for someone who pays more? Because corporate special interests tell us that the private sector is always better. It is pure good and can do no wrong. They tell you it is always better than the public sector. The reason they do this is because they want to see all of our country carved up and sold off to corporate special interests. So they create powerful marketing to accomplish their goals. The important thing here is that when you give people examples that go outside of the corporate special interest group “boxing” techniques, you can open them up to better ideas about how we want things to work. I say this with the intent of helping people understand what markets really are, and where and when they make sense. 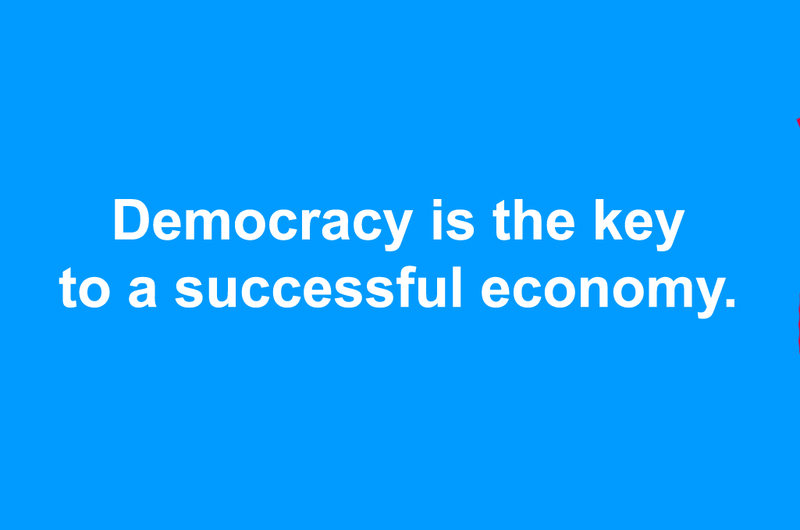 There are many things the private sector and markets are quite good at. They’re just not a magic unicorn that’s going to solve everything. 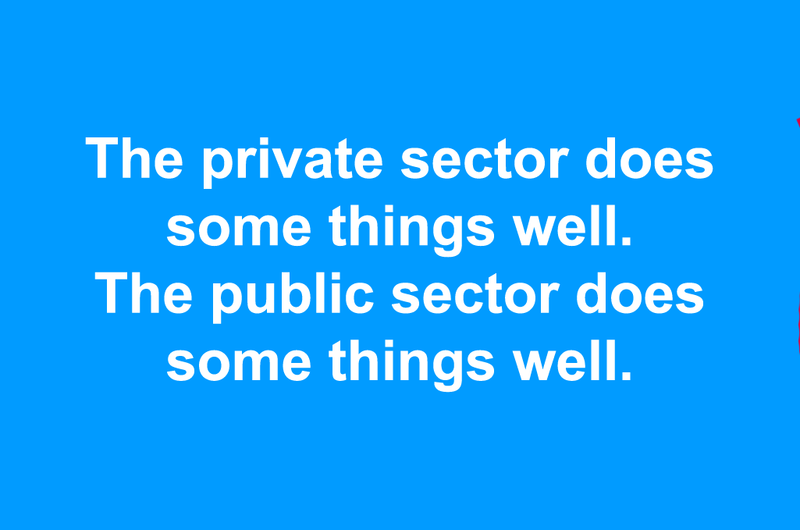 Instead of one versus the other, you open people up to the better idea of getting each (the public sector and private sector) to do what it does best. 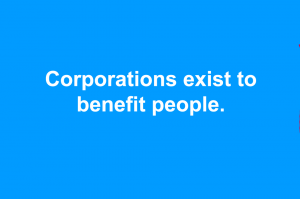 Corporations didn’t exist in our country for the first 100 years. 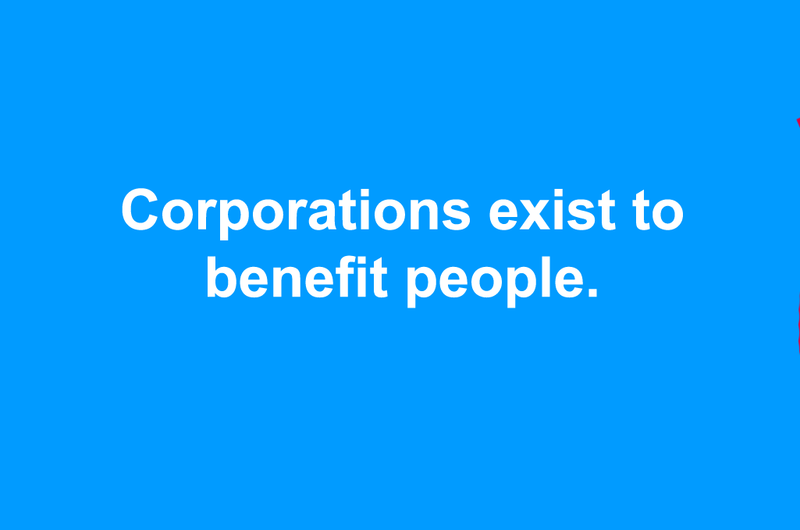 For roughly 100 years after the Revolutionary War, corporations didn’t exist in our country. The reason was that we fought the Revolutionary War as much against the British East India Company monopoly as we did the British. That tea that was dumped in the harbor, it wasn’t just any tea. It was monopoly tea. Charters were granted for a limited time and would expire if not periodically renewed. Corporations could only engage in activities necessary to fulfill their charter. Corporations were often terminated if they exceeded their charter or caused public harm. Corporations could not make political or charitable contributions nor spend money to influence law-making. The bill would require corporations with more than $1 billion in annual revenue to get a new federal corporate charter (currently, all businesses are chartered by the states). The charter would require corporate directors to consider the interests of all major corporate stakeholders–like workers, their communities, in addition to stockholders–in company decisions. Shareholders could sue if they believed directors weren’t fulfilling those obligations, and companies would be protected from shareholder lawsuits claiming the companies were violating a fiduciary obligation to increase stock prices at all costs. It tells a different story about our country than the one told by corporate special interests. It tells a story of our country fighting to free itself from a monopoly. It breaks people out of the frames that corporate special interest groups use to try to control the narrative of our country. Keep in mind that this doesn’t happen right away. You’re not going to say something and have someone suddenly agree with you. However, if people hear something different from you and then they start to hear it from others as well, this is when the national narrative changes. Get this to a tipping point where enough people are repeating these things regularly, and that’s when change happens. This is why I repeat these points as often as possible. David Akadjian is the author of The Little Book of Revolution: A Distributive Strategy for Democracy (print or ebook).